I am Greg Hammond, an InterNACHI certified home inspector, and the owner of Hammond Inspection Services. I have applied the knowledge gained through my extensive experience in construction management that focused on quality control and product/process improvement to my career as a home inspector. Having been on the consumer side of receiving a home inspection report that missed several deficiencies has made me aware of the trust given to a home inspector. It is my desire to honor that trust by providing a professional, comprehensive, and easy to understand assessment of the home I am inspecting. I also understand that not everyone is familiar with how a home is constructed and how the different systems function, so there may be questions after they have received their home inspection report. My customers are always encouraged to contact me to discuss my findings, as I genuinely enjoy sharing my knowledge and educating my customers about their single or multi-family home, condo, mobile home, motel, or apartment. This is my pledge to those who entrust me with inspecting their home. My career in the construction industry has spanned over 3 decades. I have always strived for the improvement of building practices. Quality control has been my focus, and I have spent a great deal of time correcting other builders’ sub-par work which appeared sufficient to less experienced eyes. The complexity and thorough interconnectedness of a building’s systems can sometimes seem intimidating or overwhelming to home inspectors, and even to many construction professionals. It is precisely the challenges of keen observation and thinking ahead on so many fronts simultaneously that makes me love what I do – I have found my true calling in providing home inspection services to the Greater North Carolina Triangle area, the East Triad area, and to Southern Virginia. 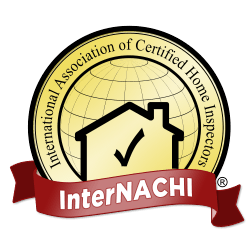 In addition to abiding by the rigorous standards required of an InterNACHI member, I also abide by the NC Home Inspectors Standards of Practice and Code of Ethics. 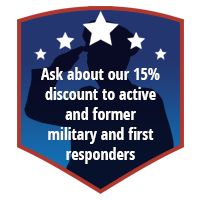 You will find that I go above and beyond the established minimums, and I bring this same drive for excellence to my customer service. Hammond Inspection Services provides same day delivery of comprehensive home inspection reports that include expanding, high resolution images and can be viewed at your convenience on your tablet, phone, or computer. One especially useful feature is HomeGauge’s Create Request List. Integrating the findings of an inspection report into a Contract of Offer is often a cumbersome task. With the Create Request List feature, you can convert inspection findings you want fixed as part of the sales agreement into a concise report you can easily include with your paperwork. No photocopying, or retyping necessary, just a few simple clicks! Throughout the process, I want you to see clearly how important your home’s integrity is to me and to Hammond Inspection Services. It is an honor to be entrusted with such a great responsibility.